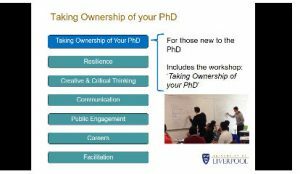 Would you like to join a peer support group for PhD students at the University of Liverpool? Three PhD students from across the University are working with the LDC Development Team to improve the support available for PGRs. This peer support group will hold regular meetings off campus, focusing on a different theme each session – ranging from practical issues in academia and project management, to wellbeing threats and strategies for resilience. The group will emphasise problem-solving and supporting each other in navigating the PhD journey. This initiative was launched following recent research into the wellbeing and unmet support needs of PhD students. A team of PhD students from across the university sought the perspectives of fellow Liverpool students by organising a focus group for PGRs working in a range of research areas. It explored the challenges involved in doing a PhD at this university and discussed the supportive resources that are currently available. Focus group attendees were able to identify wellbeing issues, discuss their PhD experiences, and provide recommendations for future support. It was recognised that there is a high degree of loneliness and uncertainty in undertaking a PhD, and it is not always clear who is best to approach for impartial support and advice. Although certain groups of students may be more vulnerable, there appears to be some common ground amongst students in the causes and consequences of stress. There are multiple sources of loneliness during the PhD, and these can be compounded by a lack of contact with peers and a working environment that can limit opportunities to share wellbeing concerns with departmental colleagues. These conversations have informed the new approach for this academic year, which aims to provide opportunities for PhD students to develop a supportive peer network, through regular group sessions. All current PhD students are welcome, and we particularly invite those in the middle and later stages of their PhD. Resilience – Gain skills and find support to manage the challenges of life as a researcher. 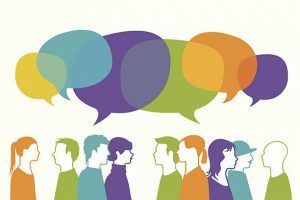 Communication – Develop the skills to communicate your research effectively through posters, presentations and writing. Creative & Critical Thinking – Explore how to develop creative mindsets and skills for problem-solving, innovation and critical thinking. Public Engagement – Acquire the skills to make your research count through sharing it with the wider public. Careers – Take control of your own career planning and prepare for the next step in your career. Facilitation – Practise leadership skills in guiding groups towards making decisions and resolving conflicts. See the Researcher week timetable for further events that week. Contact & further information: More information about our themes and details of our programme can be found on our website: https://www.liverpool.ac.uk/pgr-development/. Further sessions and new events are announced during the year, within the LDC Newsletter, on this blog and on Twitter: @livuniPGRDev.